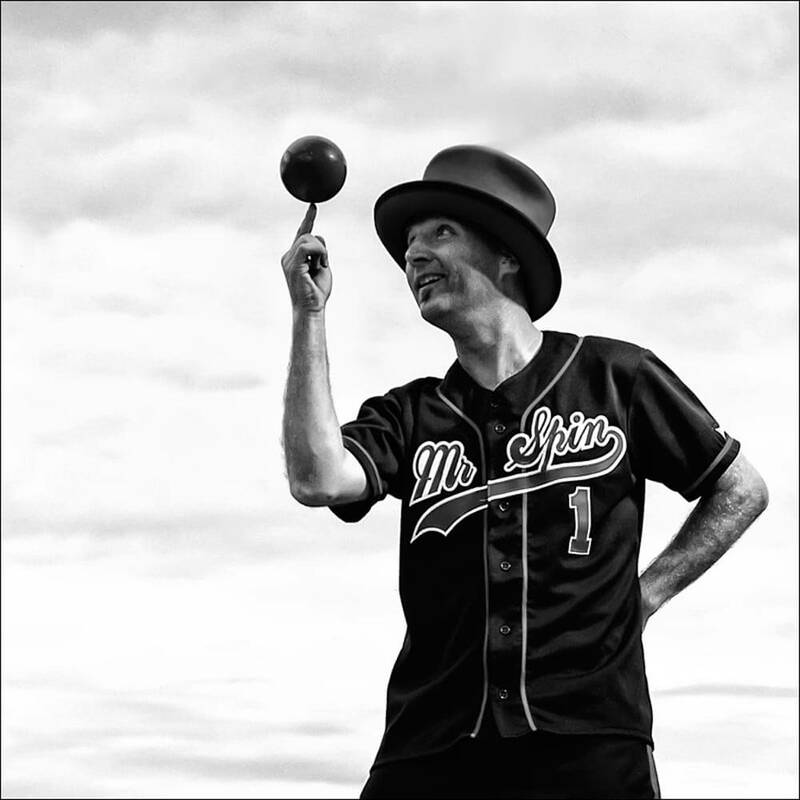 Nigel Martin, aka Mr. 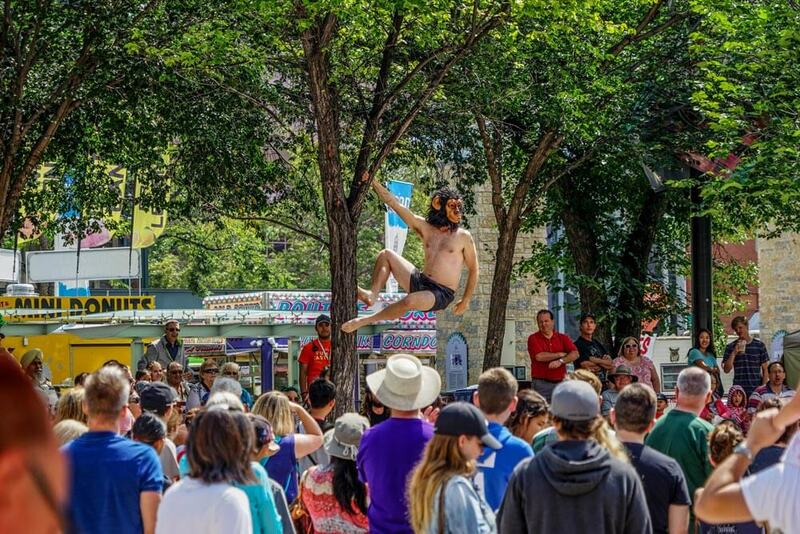 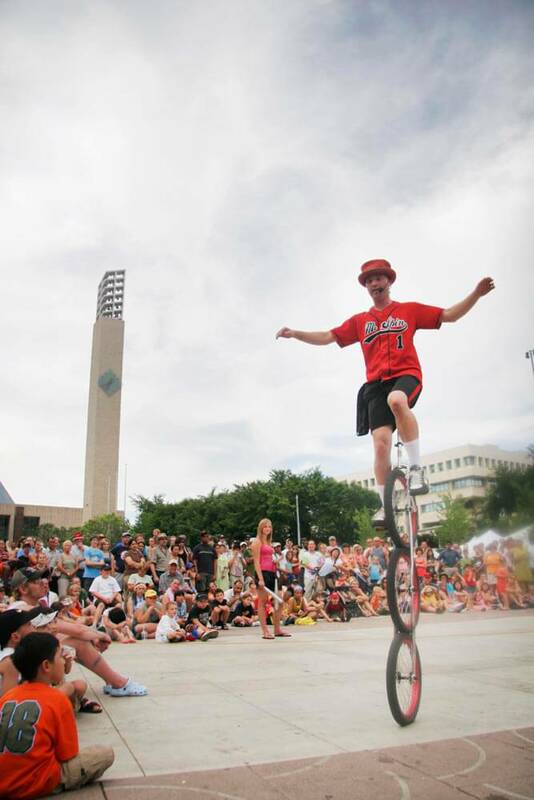 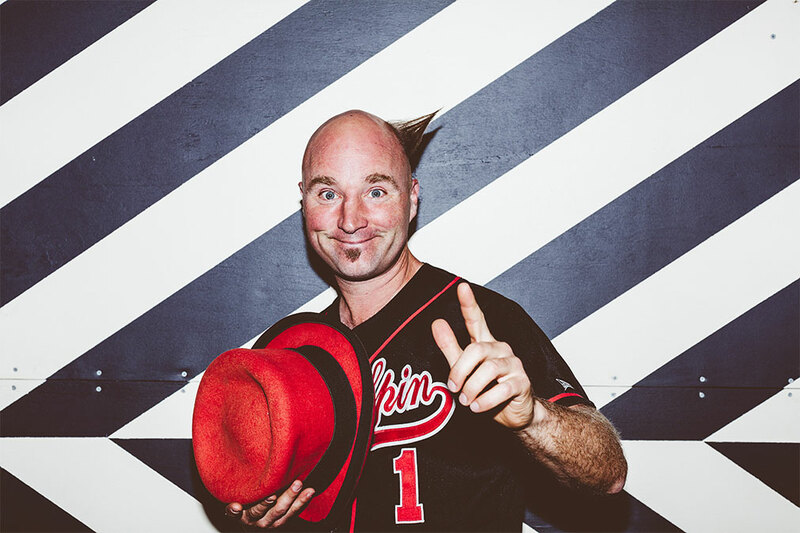 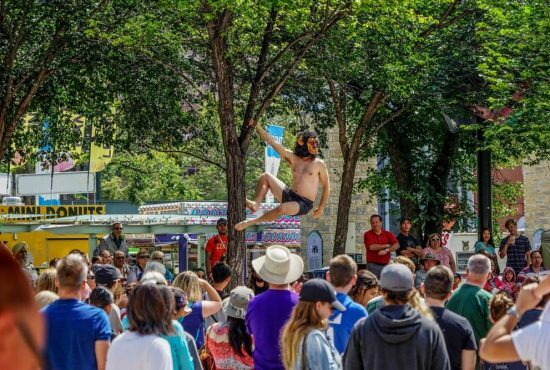 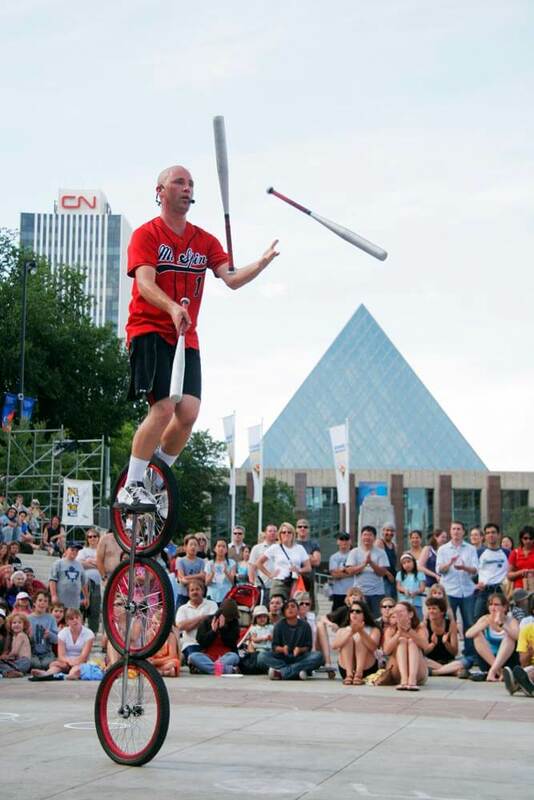 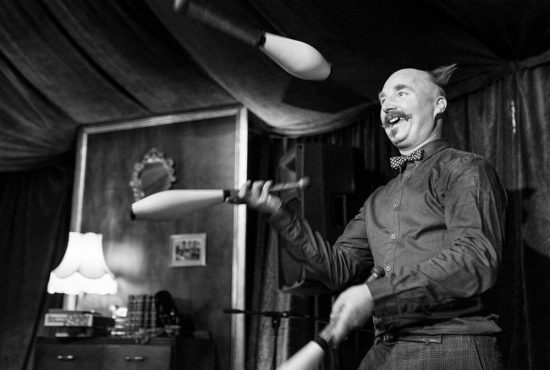 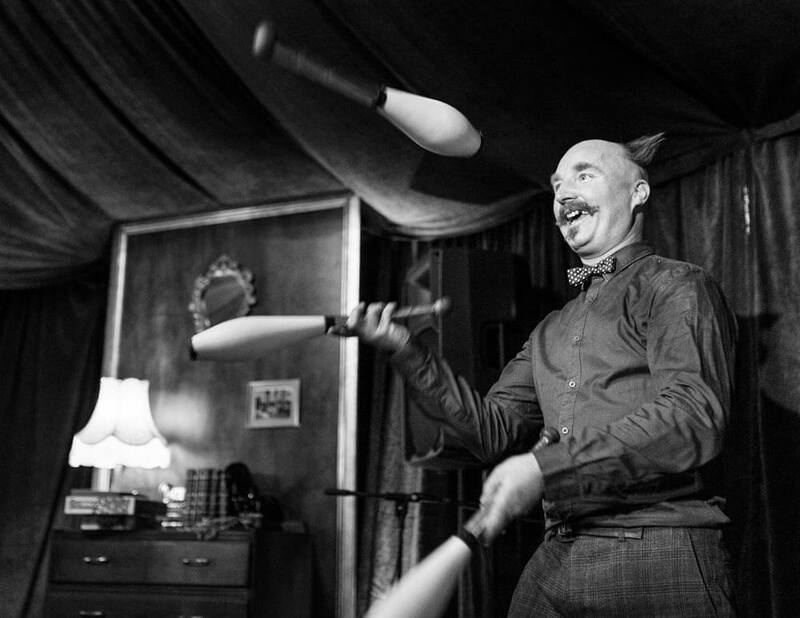 Spin performs a highly skilled, comic vaudevillian style street/circus act. 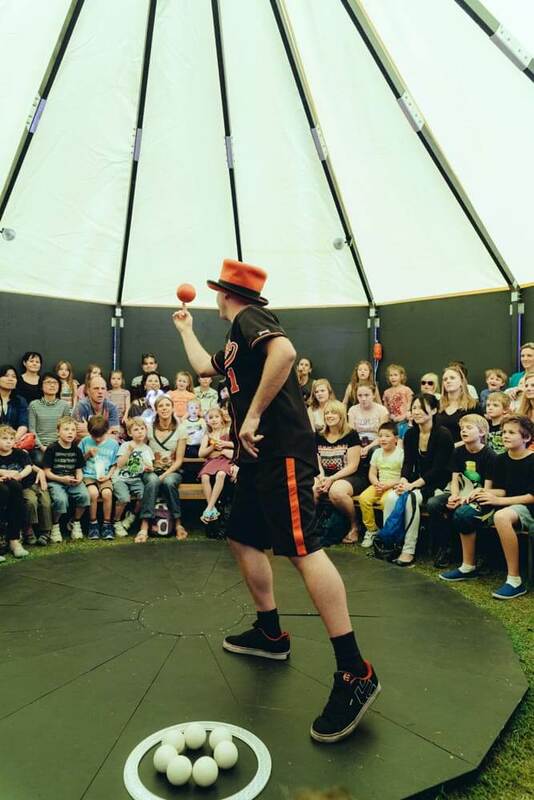 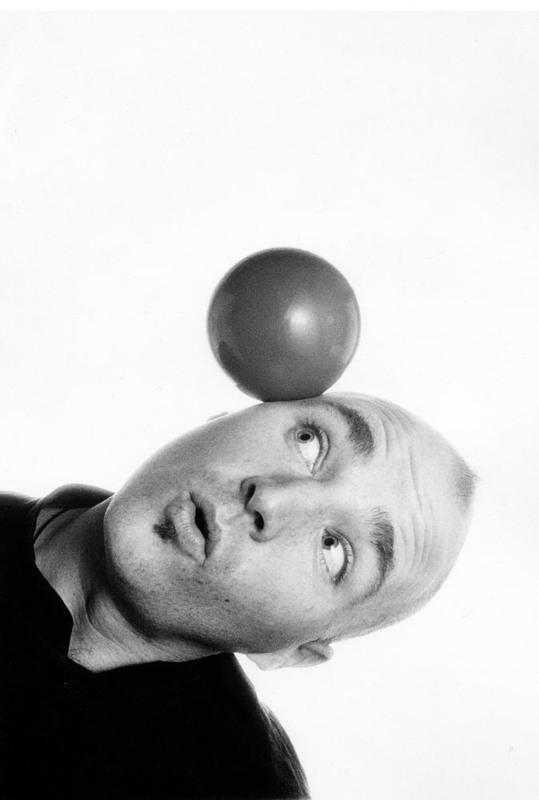 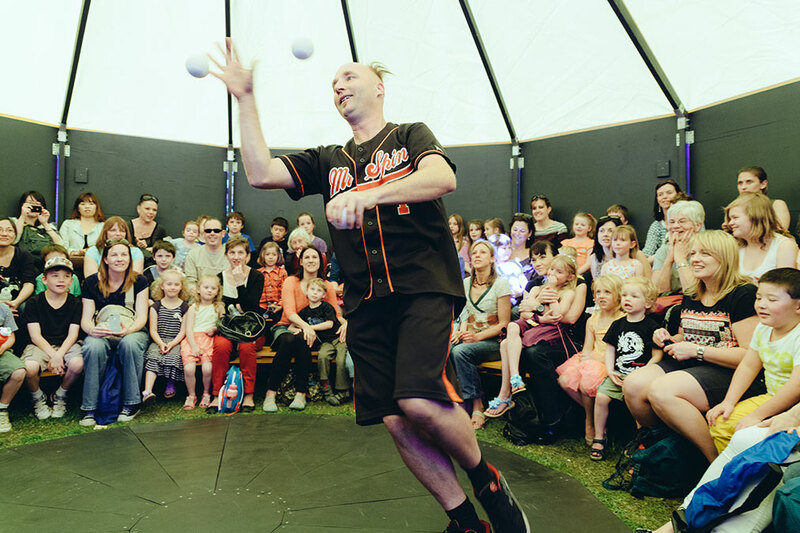 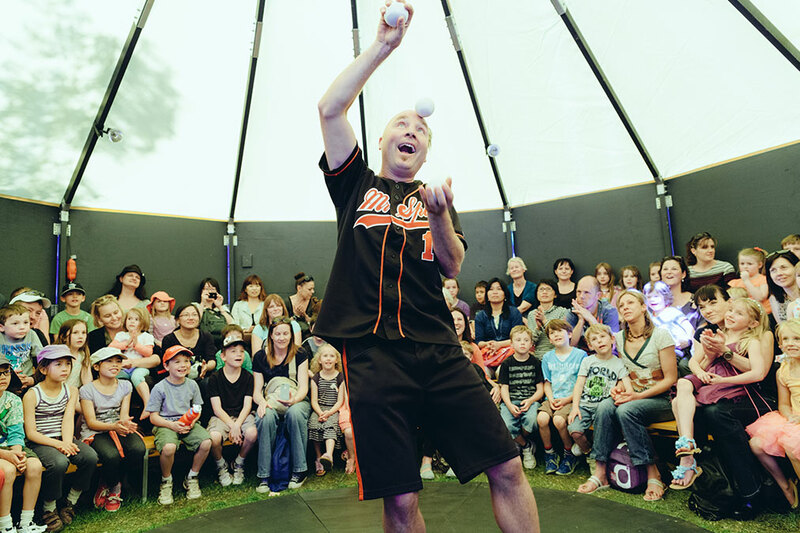 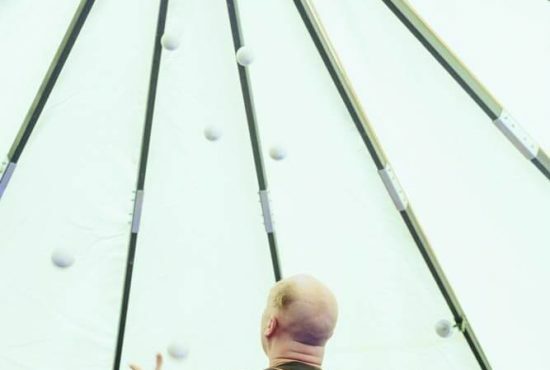 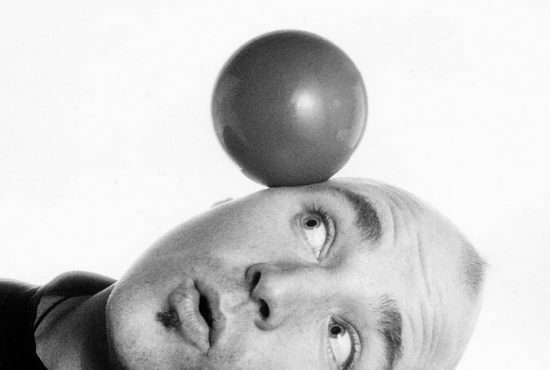 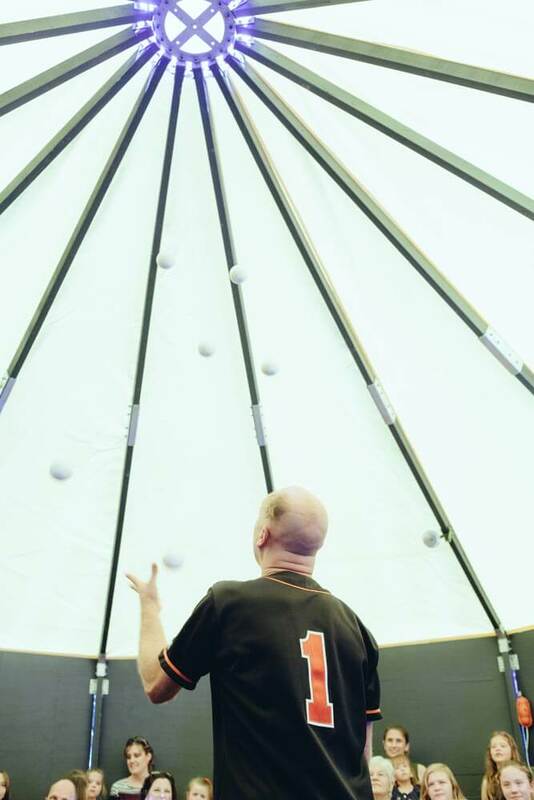 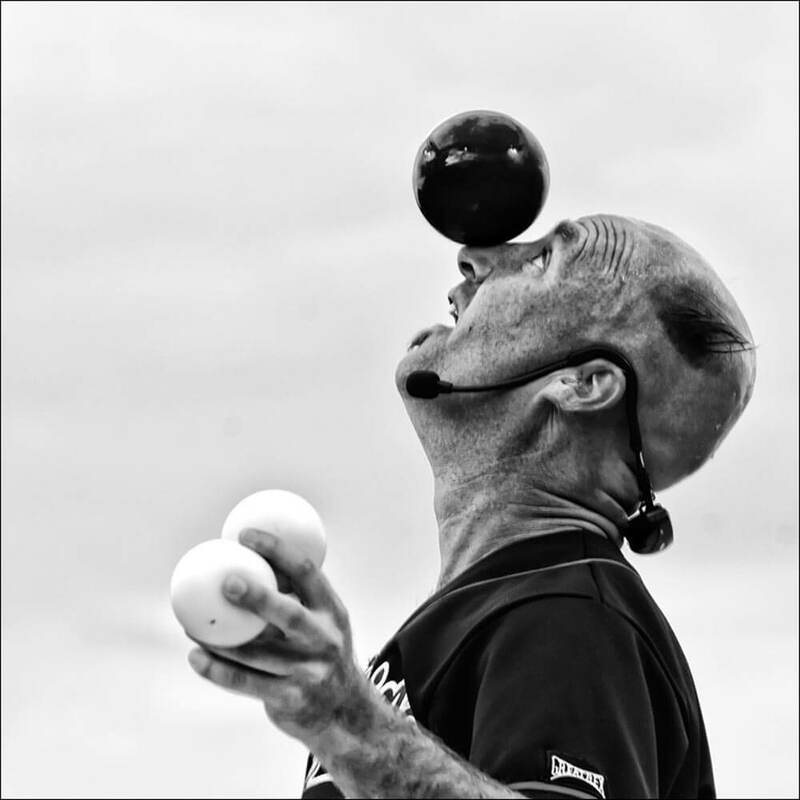 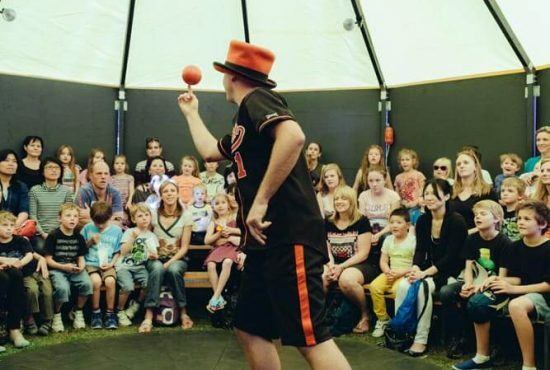 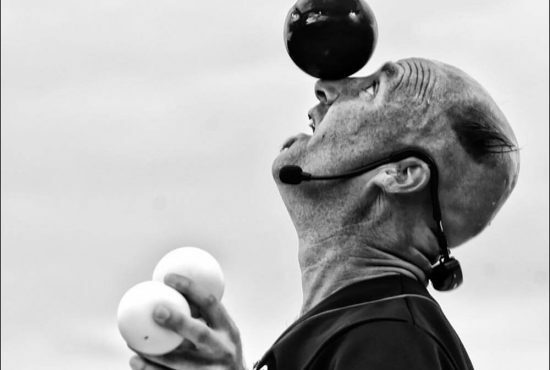 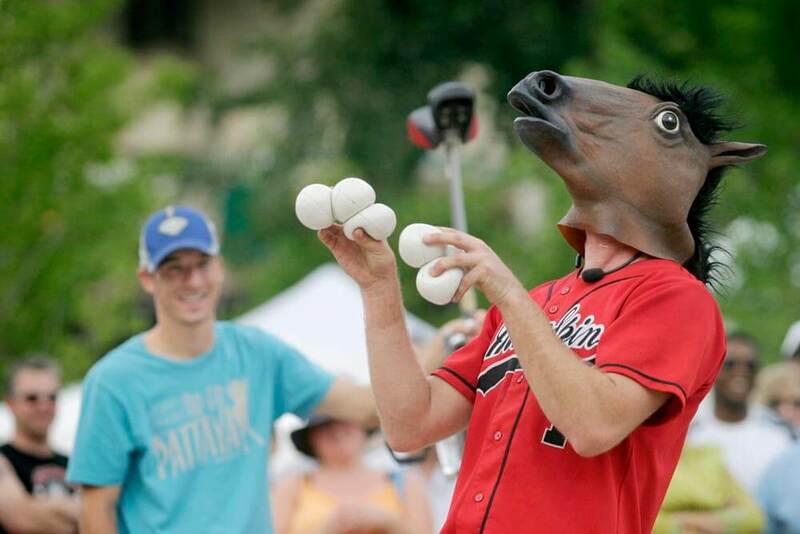 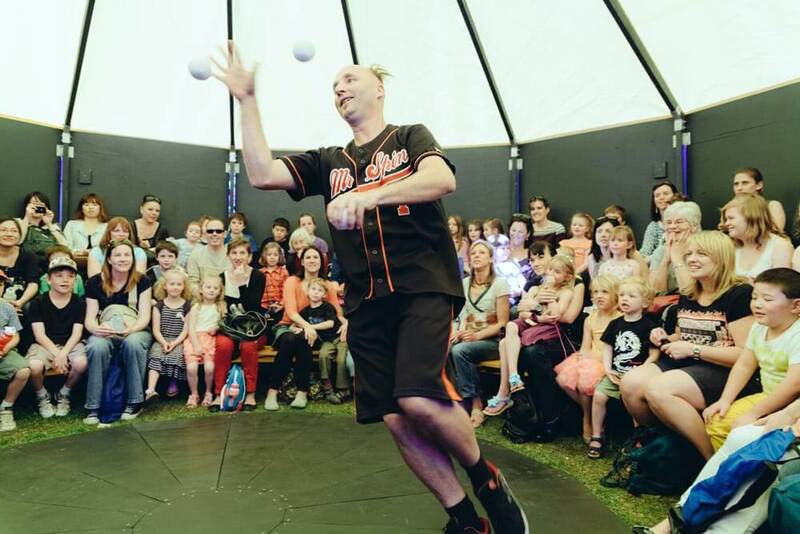 He performs a beautiful three-ball juggle, diabolo, Chinese devil-sticking, one ball manipulation and a seven ball juggle, mixed in with mad capped antics and an incredible sense of fun, not to mention a few hat tricks thrown in! 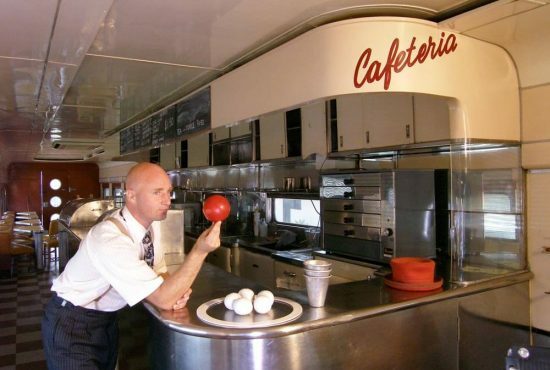 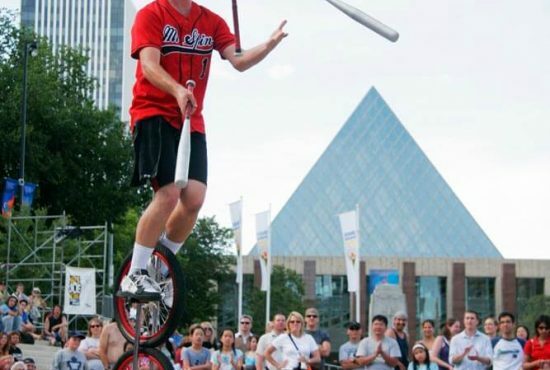 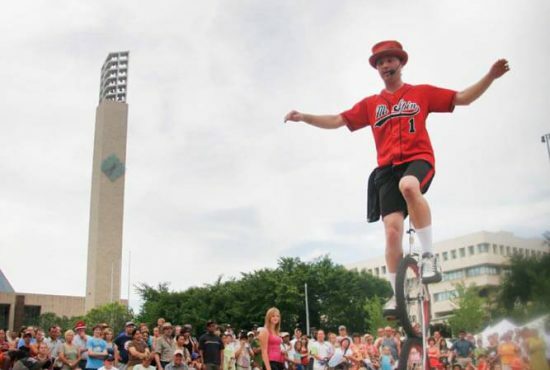 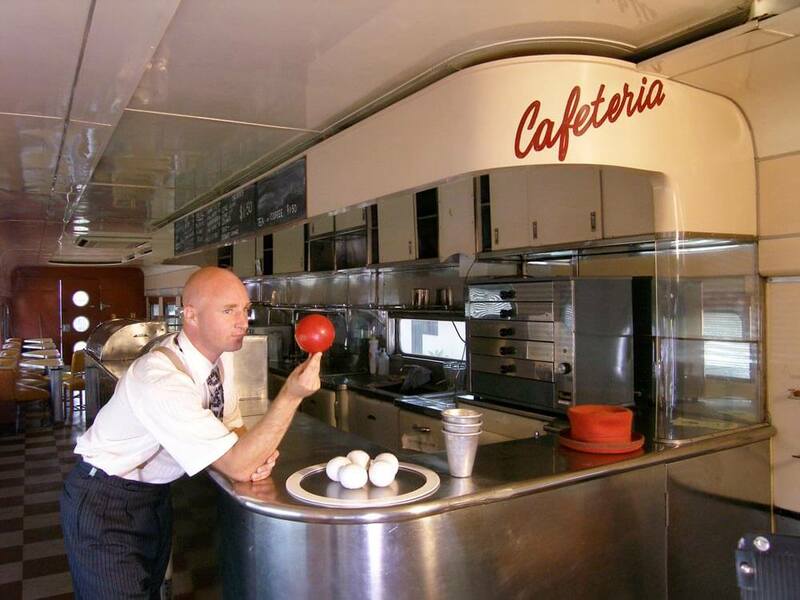 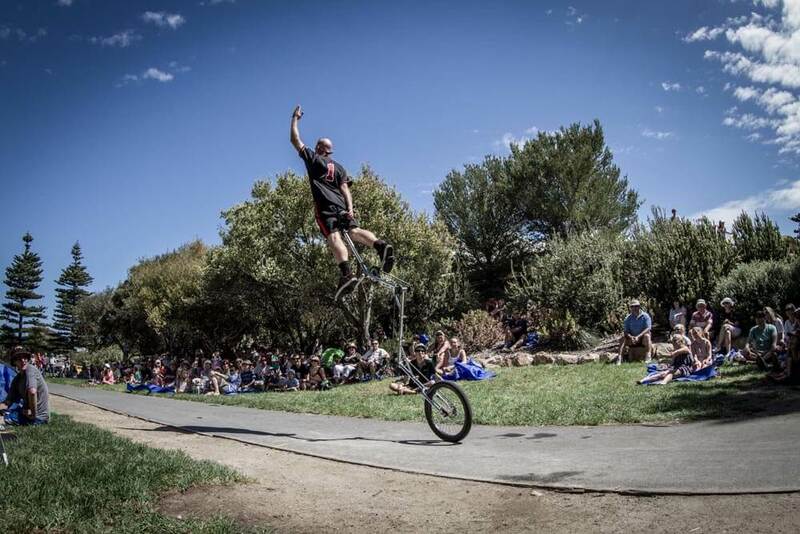 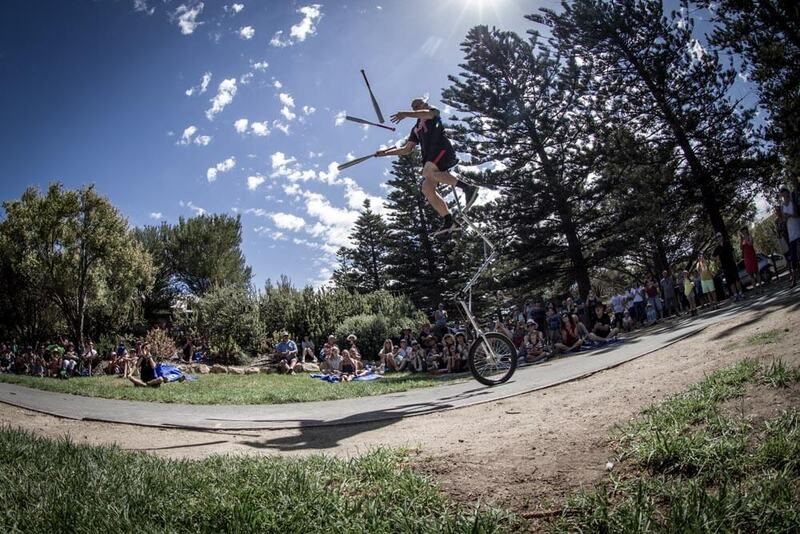 This all culminates in him jumping onto an eight-foot zigzag unicycle (of his own design) from which he juggles three razor sharp juggling clubs while balancing a glass of water on his head! 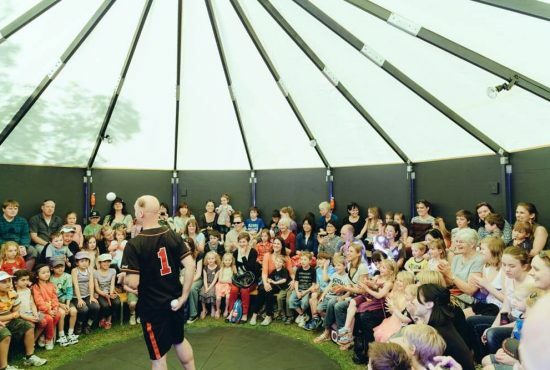 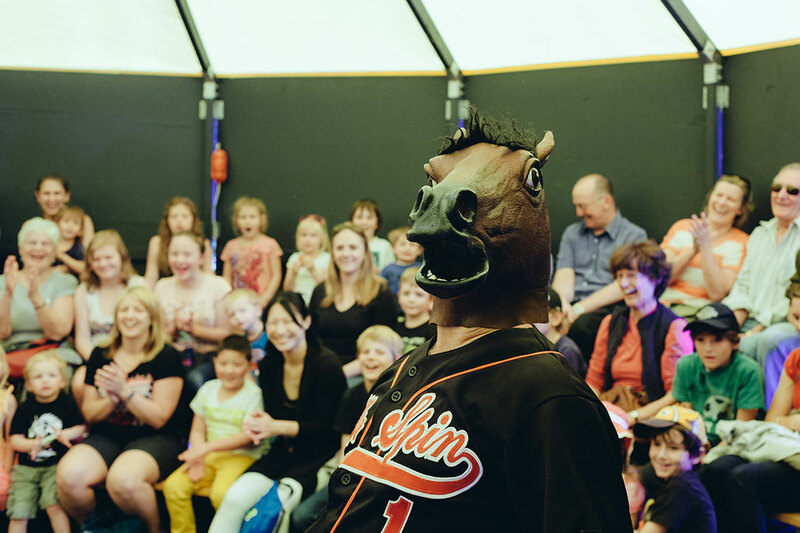 Mr Spin can be adapted for the stage, circus or corporate market and depending on your requirements, the show can run from 10 – 50 minutes. 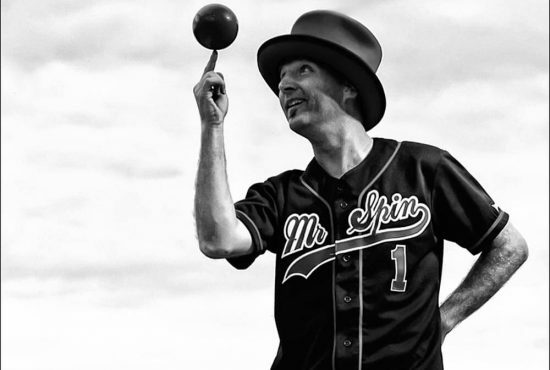 ...No festival is complete without the amazing Mr Spin.